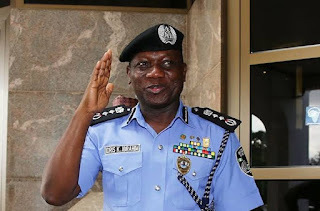 Former Inspector-General of Police (IGP), Ibrahim Idris has said he did his best while leading the force. Idris said this shortly after President Muhammadu Buhari decorated the new Inspector General of Police, Mohammed Adamu, with a new rank at the Presidential Villa, Abuja. Addressing State House Correspondents, he said “I want to inform Nigerians that today I am 60 years and I think I have reached the pinnacle of my career. So, I am going to handover to my successor. He is an officer I know very well. We worked together in the past. I wish him success. “We are adequately prepared for the elections. We have carried out a lot of elections in this country and I think you will agree with me that the Nigeria police force tried in these elections.